Remember the leaked Samsung roadmap that showed what's coming in the first half of the year? It listed a few low- to mid-range handsets that should fit the bill if you are looking for an affordable Jelly Bean device - the Galaxy Pocket 2, the Galaxy Star, the Galaxy Young, and the Galaxy Frame, in addition to the mysterious GT-I9150/2. Now the GLbenchmarks for these handsets are up, and reveal a bit more on the specs front. The GT-I9150/2 sports a Broadcom SoC, has a qHD screen, and runs Android 4.1.2 Jelly Bean. The same chipset is powering the Galaxy Pocket 2, or GT-S5310/S5312, but it shows a budget 320 x 240 pixels display. Stepping it up a bit from the Pocket 2 is the Galaxy Frame - again Broadcom SoC, but an HVGA screen - with the S6810P version sporting NFC, and the S6810 without. The Galaxy Young (GT-S6310/S6312) features a more common 1GHz Qualcomm processor and an HVGA display, while the Galaxy Star (GT-S5282) goes exotic on the silicon front, and will come powered by a Spreadtrum processor with Mail-300 graphics and a humble 320 x 240 display. The most exciting entry remains the Galaxy GT-B9150, which was listed with a dual-core 1.7 GHz Exynos 5 Dual processor, and a 1920 x 1080 Full HD display. All in all, Samsung isn't resting on its laurels the first half of the year, and it is evident that the promised move to alternative chipsets for its low- and midrange devices is in full swing. Looking forward to galaxy frame... It has videocore IV graphics.. Better than adreno 200.? Go Samsung. Few more units to the big galaxy army. 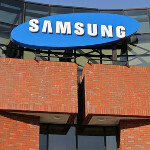 "Exynos" will soon be a marketing tool. Exynos-powered. Sounds great. Wouldn't it be cheaper and easier to manufacture and sell your own chips? I dont know much about the cost of one but it just seems that you would spend less if you didnt go through a middle man? I've been wondering the same thing. No matter how cheap a manufacturer would sell chips to you for, I can't imagine it wouldn't be cheaper to make your own...especially when that's something you already do. lol... Galaxy GT-B9150 is the galaxy s 4, I guarantee it. So much for the fanboy BS about an "octa-core". Or it might be tizen phone... Remember that Sammy says will going to release a competitive handset? Considering "GT-B" is what Samsung usually uses for it's phones that have a QWERTY keyboard, I don't think so. Samsung usually (if not always) uses GT-i for their Galaxy S devices. The GT-i9500 will be the GS4, considering the S3 was the GT-i9300 and 4 is considering an unlucky number in South Korea, so they won't be using GT-i9400. They wouldn't put an Exynos 5 Dual in their flagship device when it's just marginally better than the Exynos 4412 in terms of CPU; and they wouldn't use the Exynos 5 Quad because it's too much of a battery hog. Most logical solution, Exynos 5 Octa. We don't even know if the GT-B9150 is even a phone. It could be a tablet for all we know, there was never any screen size mentioned, just resolution. GT-B has been reserved by Samsung for a phone with keyboard, so my guess this time is some kind of 10 inches tablet, not a phone, that includes a keyboard. The Exynos 5250 (Exynos 5 Dual) can't really be used in a phone as it does not implement big.LITTLE and is too battery hungry. So hope for the "octa" is still inctact. Also, there was a benchmark shown of the GT-I9500 with a clock speed of 1.8 GHz, which is the default clock speed for the Octa; http://www.phonearena.com/news/Samsung-GT-I9500-Galaxy-S-IV-appears-in-benchmarks-with-1.8-GHz-CPU-possibly-the-Exynos-5-Octa_id38896 Nothing solid, but still more evidence. It only makes sense really; the Exynos 5 Dual is too little of an improvement from the 4412 along with being more battery hungry, the Exynos 5 Quad is a big leap in power, but also energy consumption; the Exynos Octa is the only sensible option that comes to mind. The great thing about CPU tech is that Samsung can produce the 8 core CPU and simply shut cores off in the low end phones. Intel and AMD do it in their mid range CPU's. Saves $ in re-tooling and having separate fabs.